Social Networking Sites, which create platform for social interactions and sharing are the mostly used internet websites, thus are very important in today’s world. The vast usage of social networking sites (SNSs) has effected the business world, new business models are proposed, business process are renewed and companies try to create benefit form these sites. Besides the functional usage of SNSs such as marketing and customer relations, companies can create value by analyzing and mining the data on SNSs. In this paper, a new segmentation approach, using Text Mining and Fuzzy Clustering techniques. Text mining is process of extracting knowledge from large amounts of unstructured data source such as content generated by the SNSs users. Fuzzy clustering is an algorithm for cluster analysis in which the allocation of data points to clusters is fuzzy. In the proposed approach, users self description text are used as an input to the Text Mining process, and Fuzzy Clustering is used to extract knowledge from data. Using the proposed approach, companies can segment their customers based on their comments, ideas or any kind of other unstructered data on SNSs. Social network sites such as Facebook, Twitter, and Linkedin has gained great attention of internet users and has the highest traffic rankings. Although the social network sites focus on different issues like photo sharing, micro blogging, and professional networking the commonality of these sites is that they enable users with social interactions. In the literature, the social network sites are defined as websites that enables users to create a profile, define a list of other users and share anything with these connections. The popularity of SNSs has affected the business models, processes and created new application opportunities. New business models are being developed like social commerce which is the e-commerce applications enhanced by the social applications. Special networks are being formed for crowdsourcing which can be defined as outsourcing tasks to a distributed group of people. Besides these new business models, the business process are also changing with social network technologies, corporate social networks are being used for intra communication and collaboration, Social CRM applications are being used to manage communications with customers through social networks. Marketing efforts are also empowered with social networks, viral marketing has become an important communication tool for advertisement. Human resources processes are also affected by social networks, online job posts and test are popular, and Linkedin is widely used for recruitment. Besides the functional usage of SNSs, companies can benefit from the data captured from social network sites. 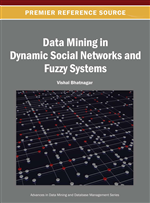 There are various tools and methods for social network data analysis, the most popular data mining applications in SNSs are defining a group of people, the topic of that group, recommending systems for individuals and virtual groups and finally sentiment analysis for automatically identifying individual’s thoughts about a product, service or idea. While identifying a group and recommending individuals to others are about the connections between the users, profiling a group or understanding someone’s opinion about a topic is more about analysis of the content they produce. The user generated content in the social networks is unstructured and in text format. The term text mining has emerged from the need to analyze and benefit from these kinds of data. Text mining is described as the semi-automated process of extracting patterns, useful information and knowledge from large amounts of unstructured data sources (Turban et al., 2011). While data mining and text mining both have the same purposes of extracting knowledge, the difference comes from the input of text mining, text mining uses a collection of unstructured data file types such as word documents, PDF files, XML files. The initial applications of text mining include analysis of court orders, academic publications, and pattern files; predictions using quarterly financial reports, and automatic prioritization of emails. Text mining is used for various applications such as information extraction, topic tracking, summarization, categorization, clustering and concept Linking, question answering. Segmentation is the process of dividing the customers into distinct and internally homogeneous groups in order to develop differentiated marketing and communication strategies according to their common charecteristics. In the consumer markets, different types of segmentation can be observed such as, value based, behavioral, loyalty based, and needs and attitudes (Tsiptsis & Chorianopoulos, 2009). Value based segmentation tries to segment the consumers according to their values, behavioral segmentation deals with segmenting the customers according to their behaviors. Loyalty base segmentation on the other hand, focuses on the loyalty level of the customers. And finally needs/attitudes based segmentation groups the customers according to their needs, wants, attitudes, preferences, and perceptions pertaining to the company’s services and products. For the last type of segmentation, a market research data is needed to identify the needs and attitudes of the customers. However, with the emergence of SNSs the customers generate data on the web that can be used to identify their needs and attitudes.